Headphone has become an essential accessory for listening music and watching videos. Most of the mobile manufacturers offer free headphones along with the new mobile, but for those who want to buy separate headphones for enjoying music can find a plethora of options on DealsCorner. At Dealscorner, you can find products from all the major brands and online stores like Flipkart, Snapdeal, Shopclues, Amazon, Infibeam, etc. on a single platform. You can compare the products and prices offered by the various online stores and then choose the product of your interest in the lowest price range. Even before the walkman era, the size of headphones in those days where bulky and big. 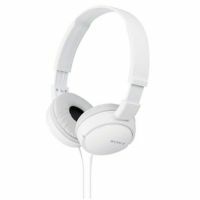 With the changing technology, slim and trim headphones were introduced in the market. With the introduction of latest devices like MP3 player, mobile phones, iPods, etc. the usage of headphones also increased and people started owning atleast one pair of headphones. There are different types and models of headphones in different sizes, shapes, designs and colours depending on the model and make. Some of the popular models of headphones are earbud headphones, on-ear headphones, full size headphones, wireless headphones, and noise cancelling headphones. 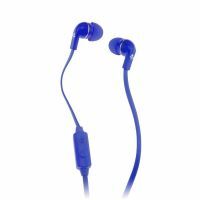 You will find ear bud headphones with all the music devices like mobile phones, audio players, Mp3 players, iPods, etc. It is given as a freebie which has less capacity of output and some models are not even durable. The bass quality and sound quality of the ear bud headphones are not as qualitative as the full size headphones. Because the ear buds can be inserted in the ear canal, it provides help in enjoying your music by isolating the external sounds. Some of the earbuds have several buttons like play, pause, stop, volume increase and decrease. The on ear headphones rest on the outer part of the ears, some of the models have headbands through which it is connected. The headphones come with cushioning which helps in reducing the external sound, but comparatively ear bud model offers more isolation than the on-ear headphones. Some of the on-ear headphones also have microphones which can be used for making online calls. If you are fond of high bass effect then you should look for full sized head phones which offer high sound quality with extra bass effect. Because of its bulky size, it is known as full sized headphones. 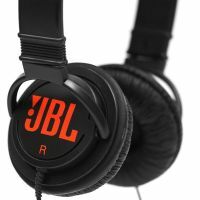 Due to its large size, the loudness and bass levels are also higher compared to any other headphones. You can find folding designs in the full sized headphones which are easy to use and carry. While choosing any kind of headphones, there are certain features that should be ensured are bass, comfort, weight, durability, cable length and thickness, and buttons in the headphones. It is also necessary that you check all the available options before you make your final decision. You can find a range collection from all major brands and online stores at DealsCorner. We have many well-known brands like Philips, Sennheiser, Sony, Skullcandy, Audio Technica, Panasonic, Plantronics, Koss and many more. Use the various filter options given on the product search page and narrow the search results. Shopping on DealsCorner is simple and easy. Search the product you need, use the filter options to narrow the search results, compare the products and prices, and find the product of your interest in the lowest price range available all over India.